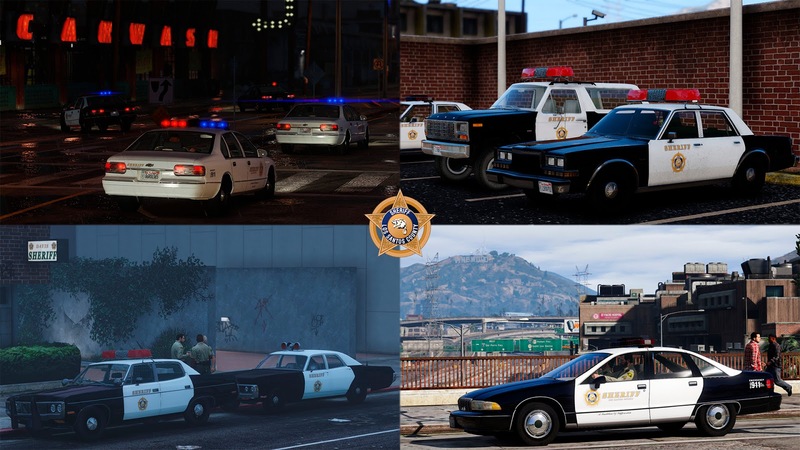 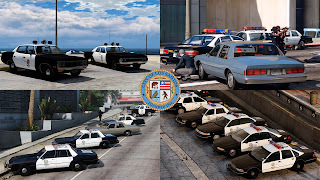 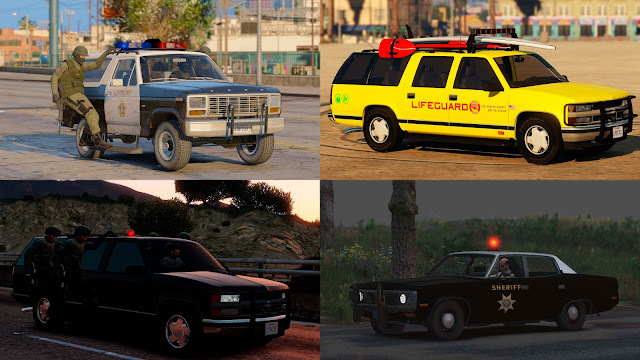 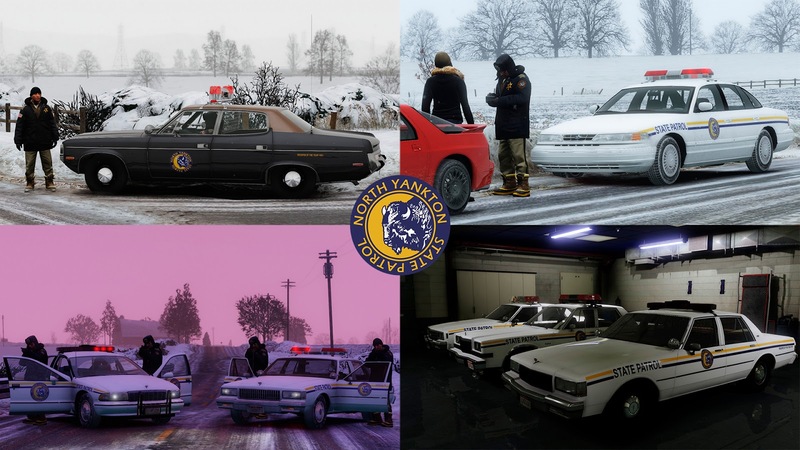 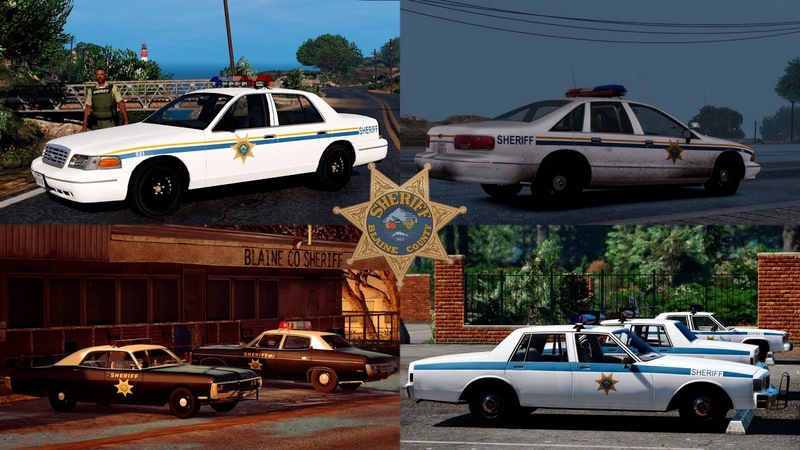 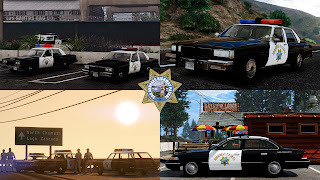 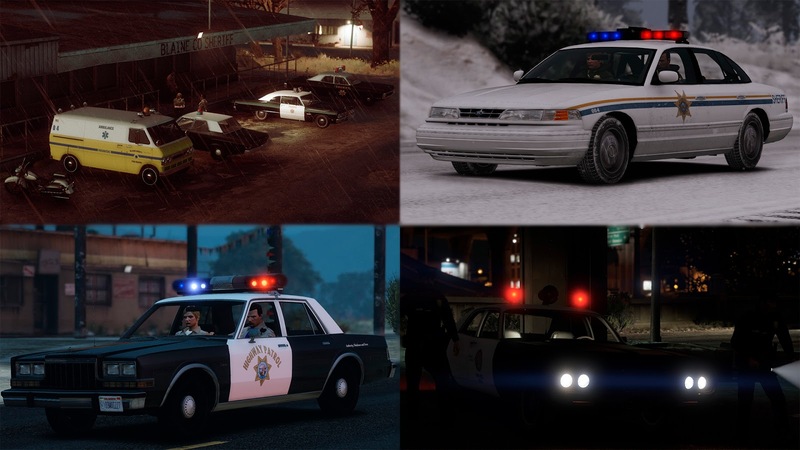 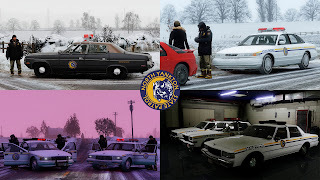 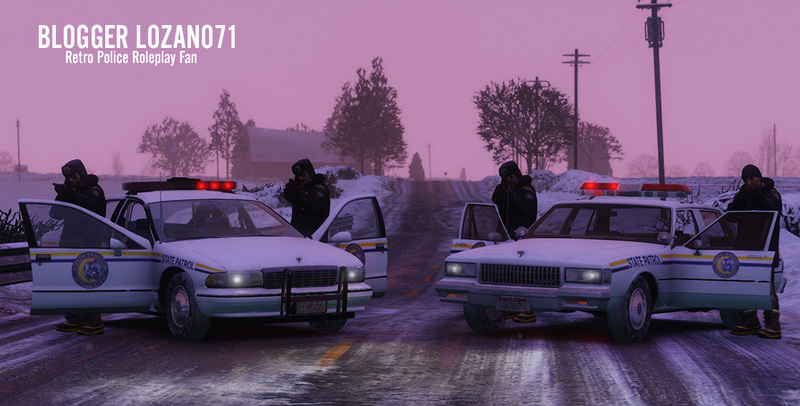 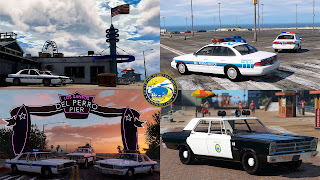 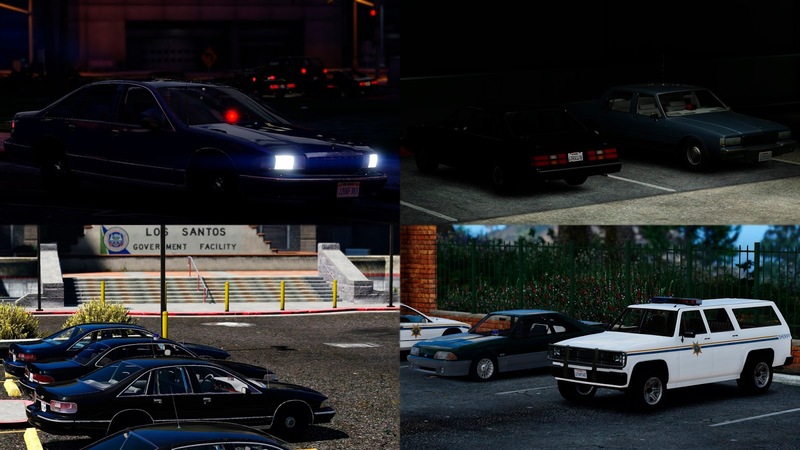 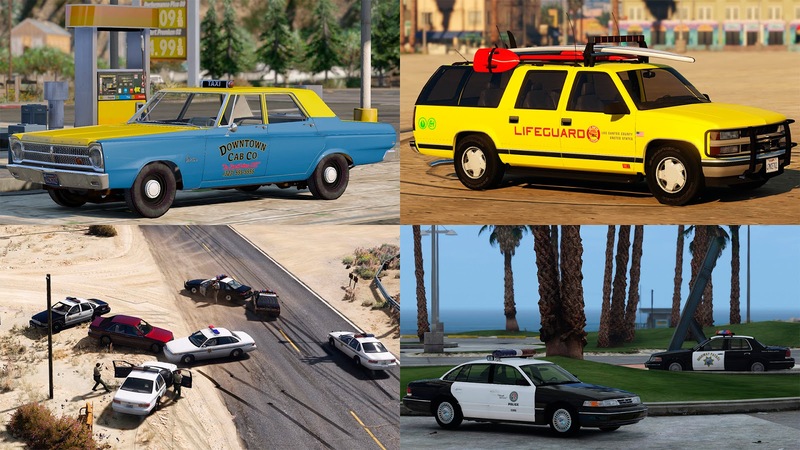 Retro Emergency Vehicles Pack – a set of global DLCs for GTA V which replace modern vanilla police cars with real life and game analogues from the 70-s, 80-s and 90-s. Mod was developed in a DLC format with a pretty easy installation. 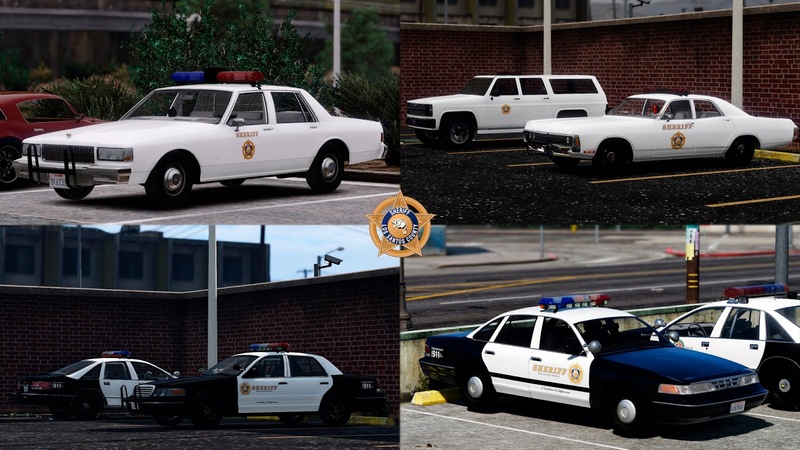 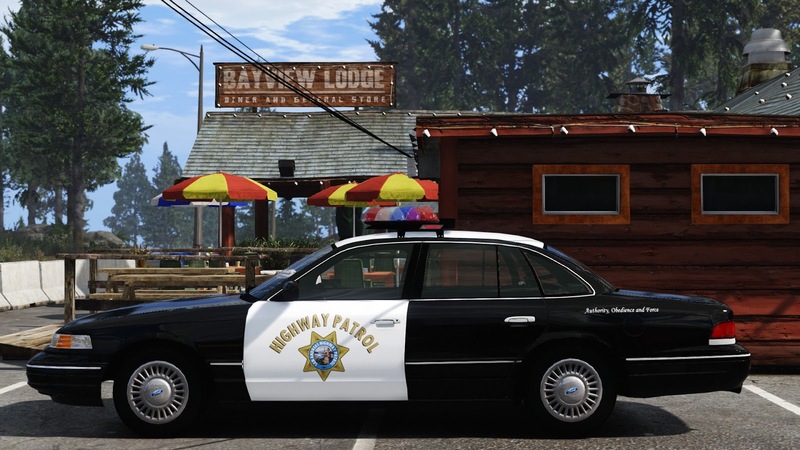 This pack features lots of legendary cars like Ford LTD Crown Victoria, Chevrolet Caprice, AMC Matador & Ford Crown Victoria. 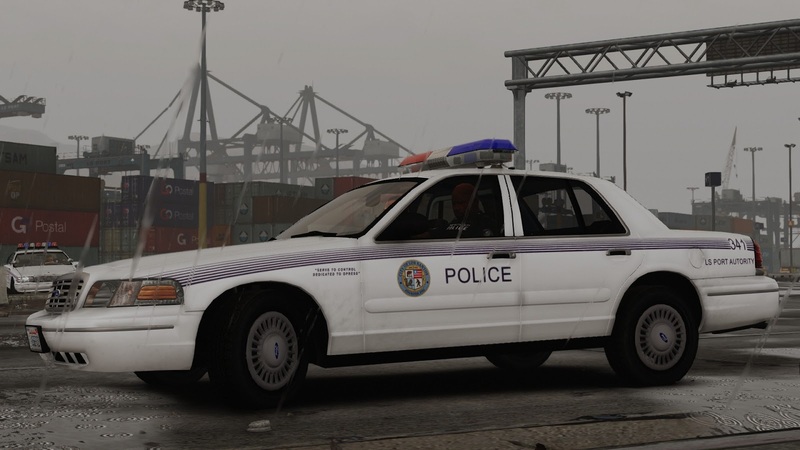 You can get them by spawning via a trainer, using RDE's reworked dispatch system or calling for backup in LSPDFR Backup Menu. 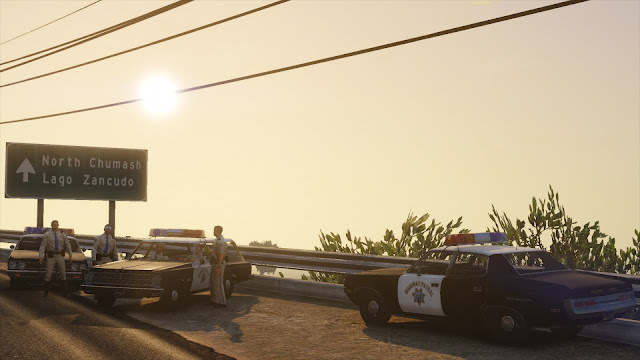 gameconfig.xml is presented for GTA V 1.0.1493.1 and older. 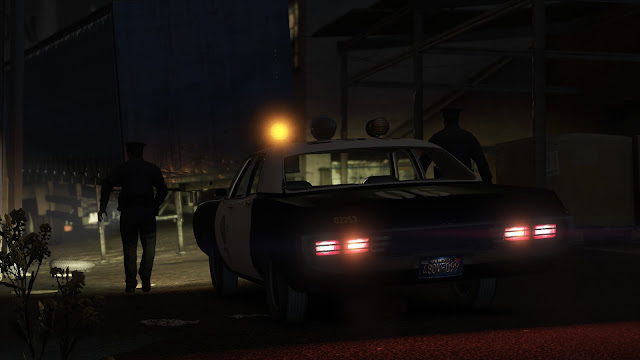 Use RagePluginHook for creating game version backup and avoid R* update which don't support ScripthookV . Backup creating is take only 5-10 minutes of your time and require only 1-2GB of free space on HDD.Other variant - when new R* patch is released - try some of that. 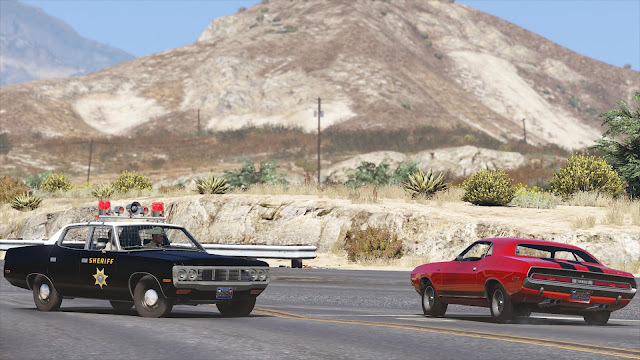 Choose the most actual gameconfig.xml variants from this list. For fixing possible ERR_MEM_EMBEDDEDALLOC_ALLOC errors - use Heap Limit Adjuster. 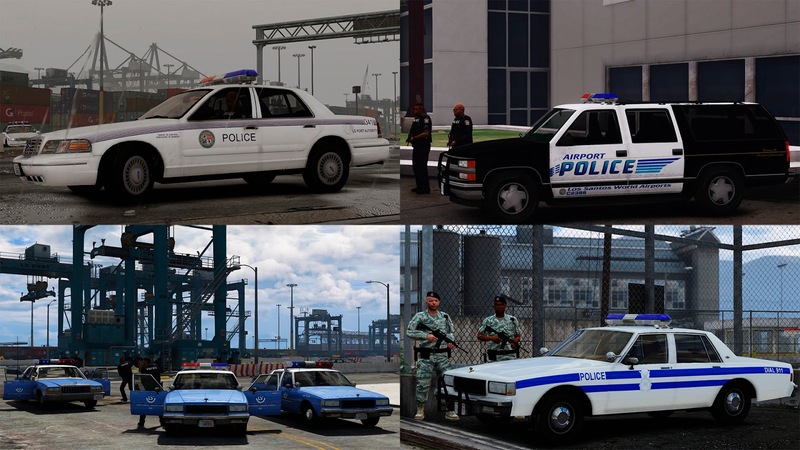 Don't forget to install Spawn MP vehicles in SP (for correct work of popgroups.ymt). 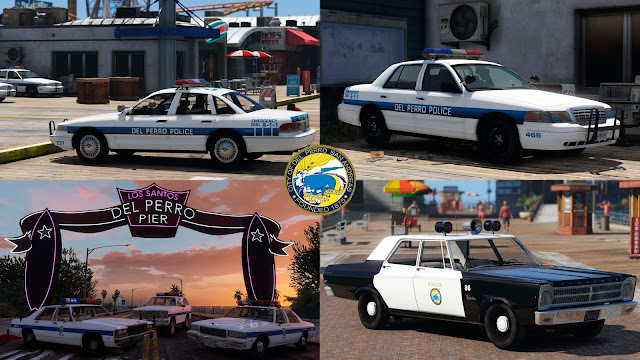 Added multipIe variations of Plymouth Fury mk. 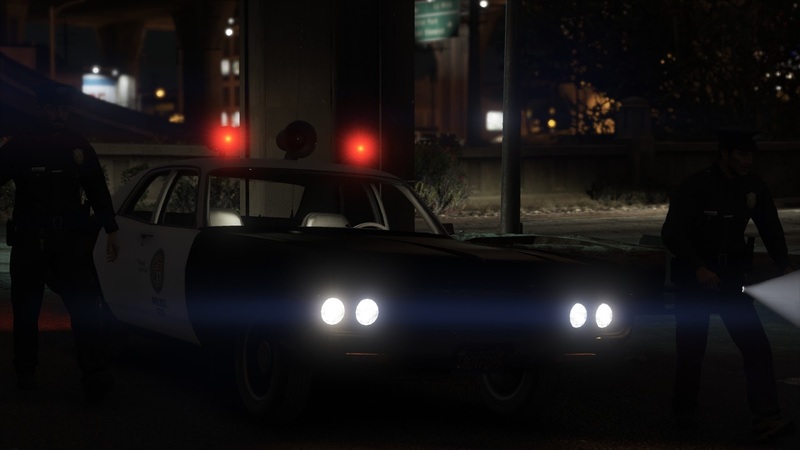 III 1969. 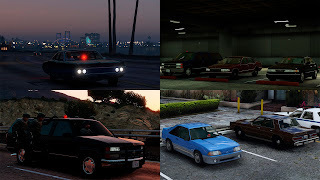 Added multipIe variations of Bravado Youga Classic. Added multiple variations of Dodge Diplomat 1983. Added multiple variations of Chevrolet Impala 1985. 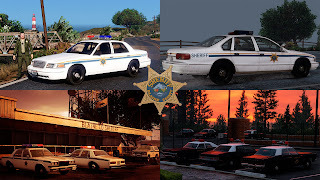 Added marked variations of Ford Mustang Fox 1988, model was generally improved, updated collisions. 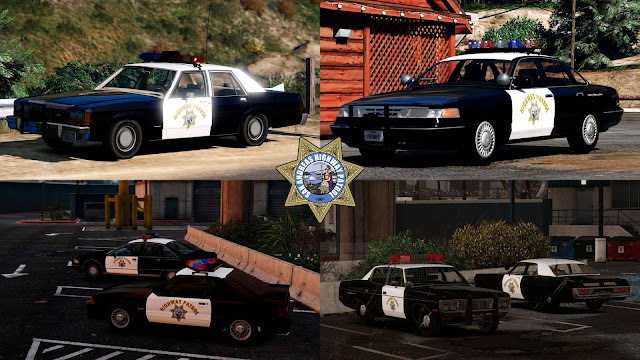 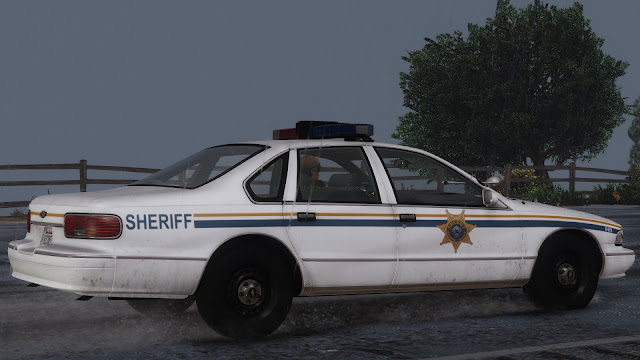 Added new version of Ford Crown Victoria 1996, by Esprit. Added unmarked Chevrolet Caprice 1989. 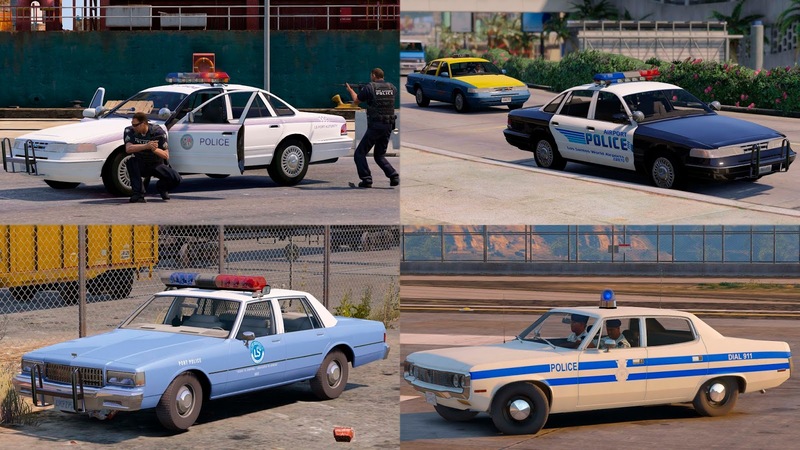 Marked variations are planned in future. 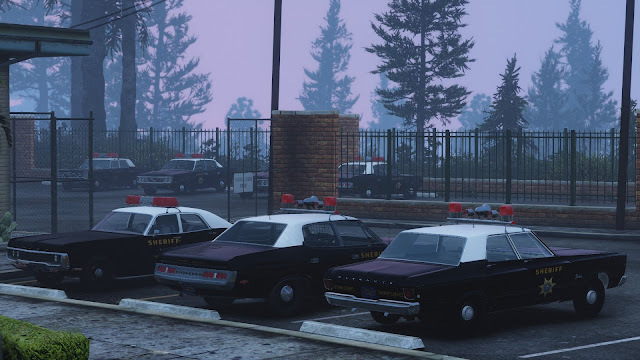 All RDE agencies are moved to a separate addon. 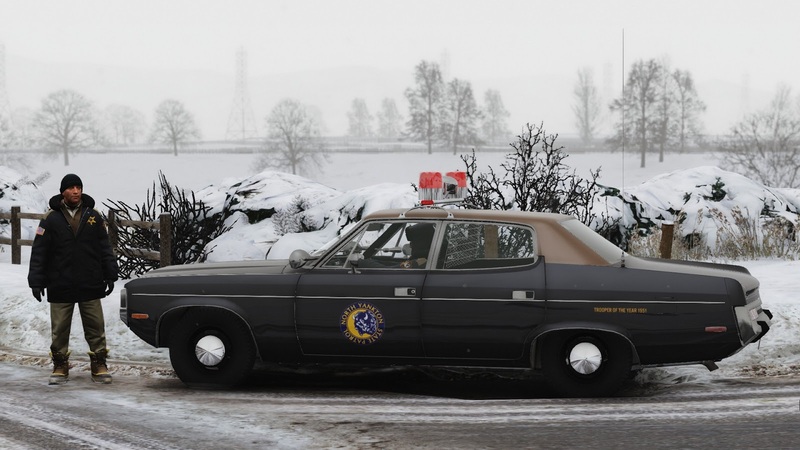 This and some other measures will greatly simplify the installation. Due to your numerous requests, I refused the mandatory installation of RDE 3.1.1 . 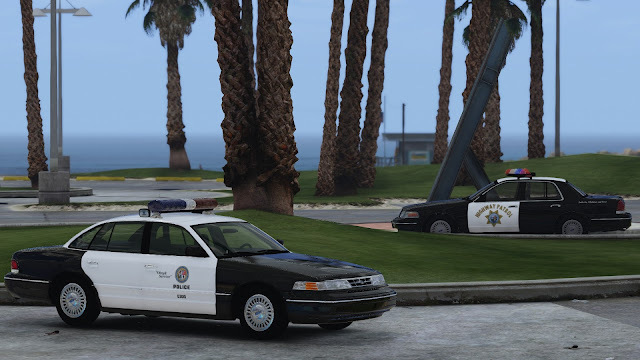 Chevrolet Caprice 1988 and Ford Crown Victoria 1998 updated to the most new versions with different improvements. 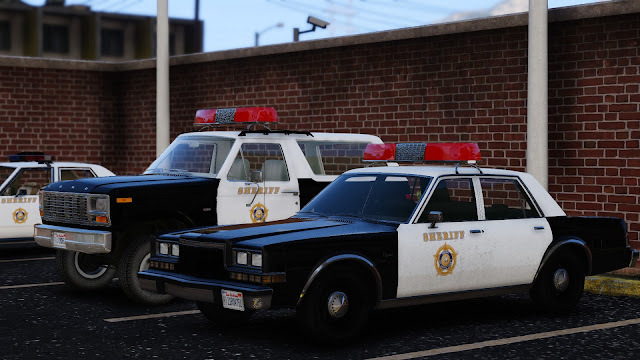 Chevrolet Caprice 1991 had some minor improvements. Ford Crown Victoria 1996 Taxi was replaced by Chevrolet Caprice 1995 Taxi. 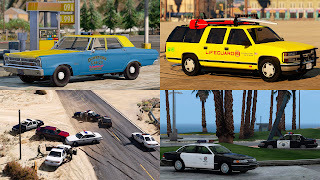 Also added second taxi for every pack. 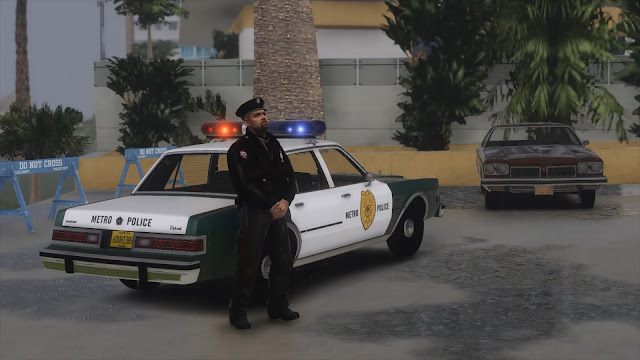 Ford Bronco 1980 now got interior textures with the different colors. 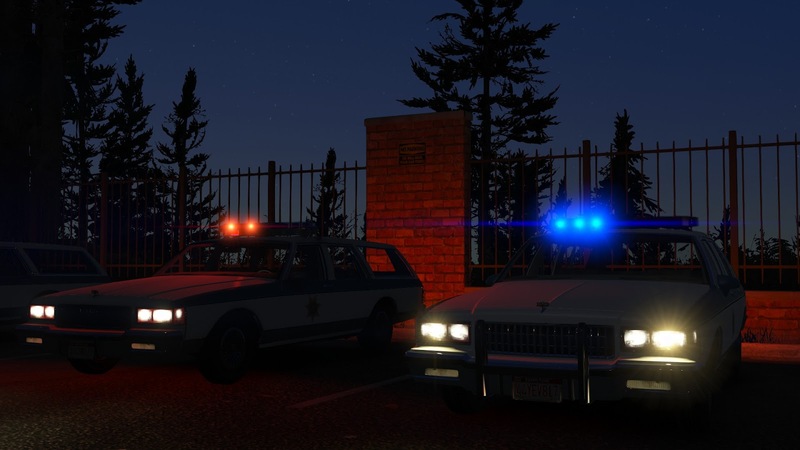 NYSP addon was merged with the main pack. Most of vehicles got real handlings. 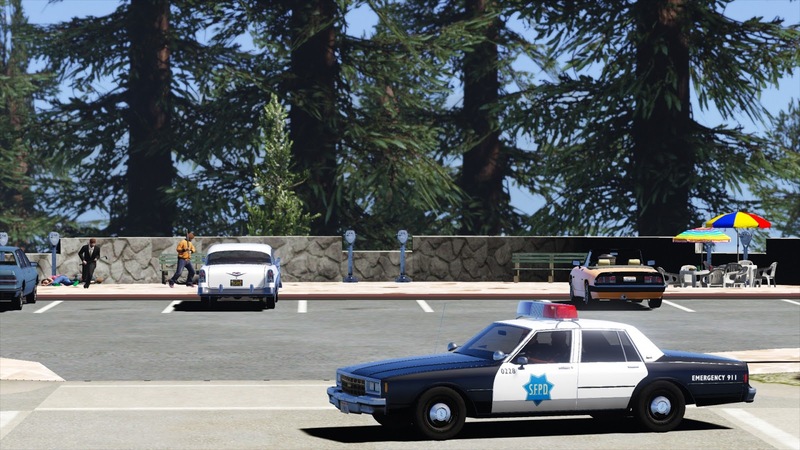 Updated UV-Mapping for 1965 Plymouth Belvedere Station Wagon and for Dodge Polara 1971. 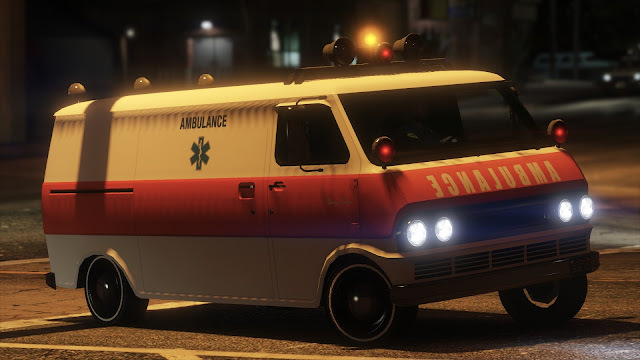 Updated unmarked Declasse Rancher XL. 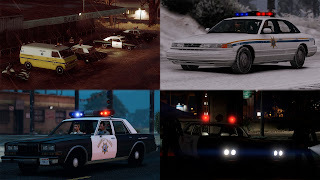 Updated license plates for all vehicles. There is also many other little improvements, like updated textures, corrected flags and more ordered spawn-names for models. A bank robbery in Vinewood become awful surprise for LSPD. 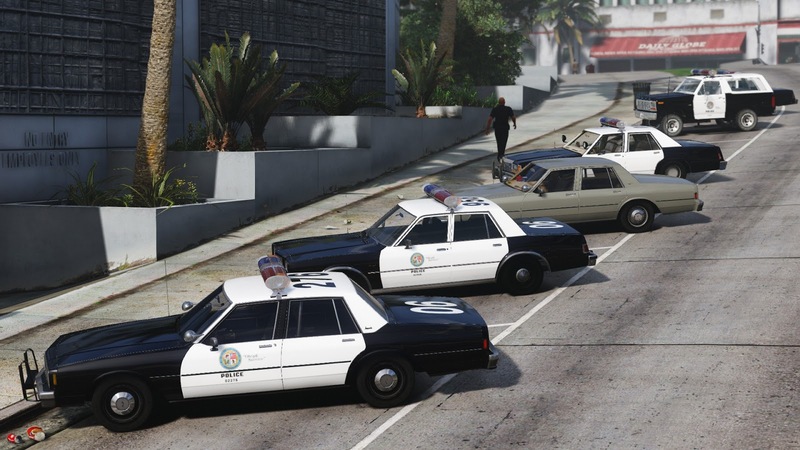 Heavily armed criminals left no chance to the cops. After first shock law enforcement agencies begin special operation. 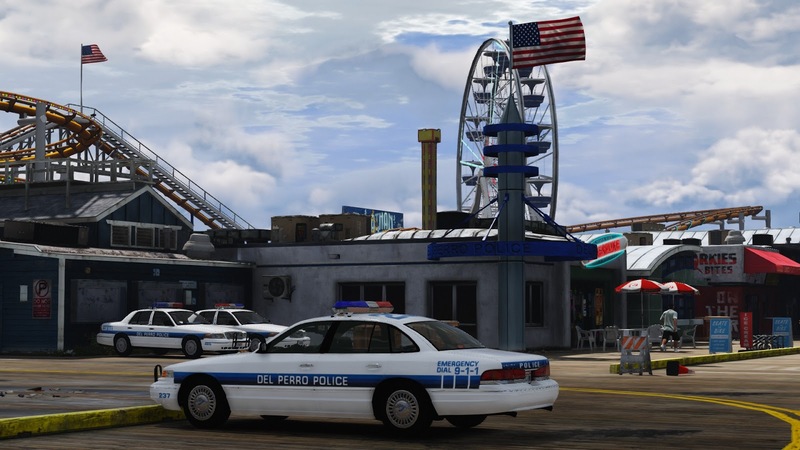 Agent Albright is investigating a contract killing and a series of causeless attacks. Two insane criminals run away from Vice City, bloody tracks is lead to Los Santos through San Fierro. 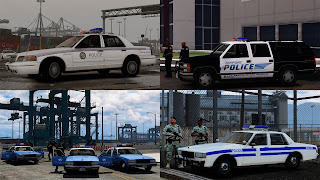 The police captain hints to a colleague to start taking bribes from a criminal group. 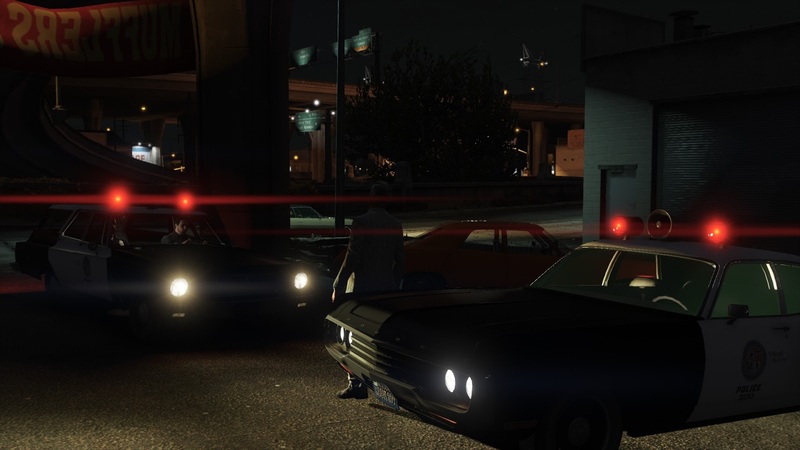 The lieutenant refuses and decides to follow him. 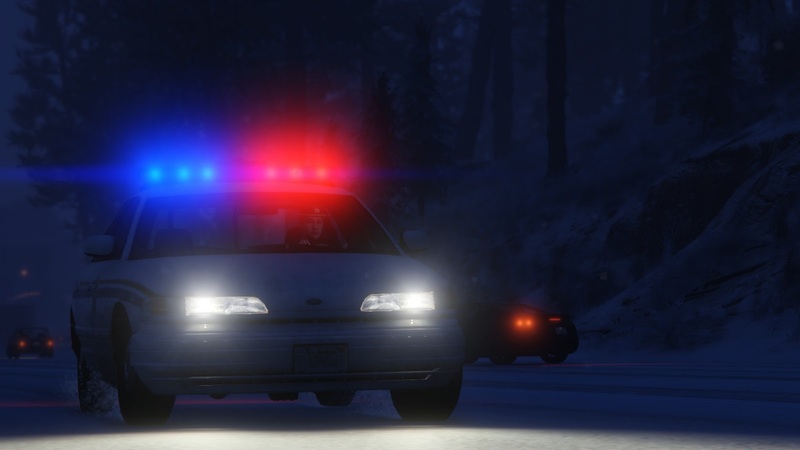 But unfortunately he was found and he was seriously injured. 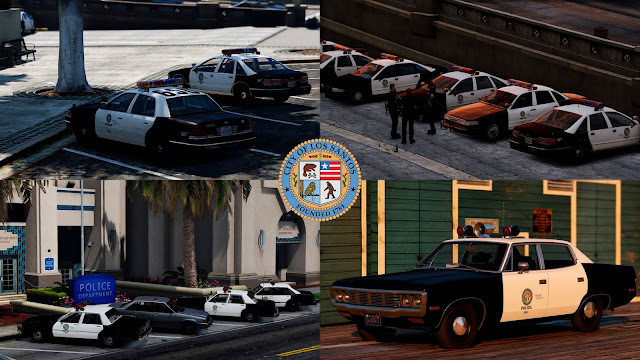 In the case come the detectives from the Winevood Division of LSPD. 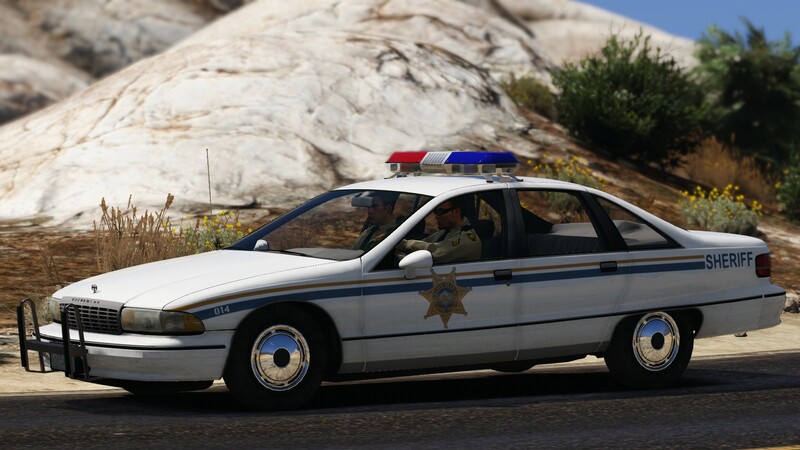 They are helped by the unit to k-9. 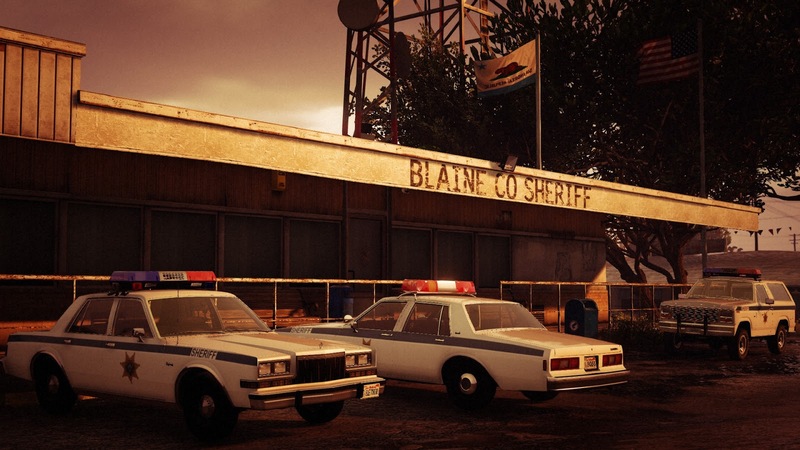 At the end, the policeman identifies his old friends in the dead bandits, they saved his life during the Vietnam War.